Place pizza crust on ungreased cookie sheet. Spread sauce evenly over crust. 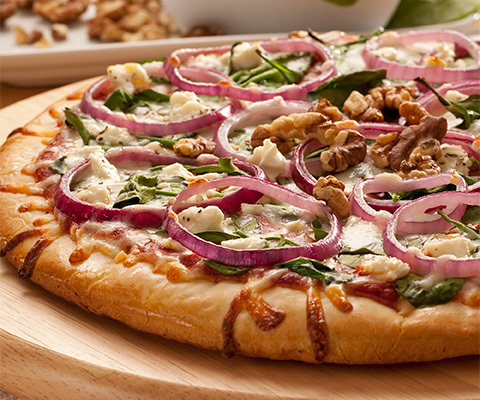 Top with spinach and red onion. Sprinkle cheese and basil on top. Bake 8-10 minutes at 450°F. Top with toasted walnuts or pine nuts. Alternative - sauté spinach in pan with grated garlic and olive oil.